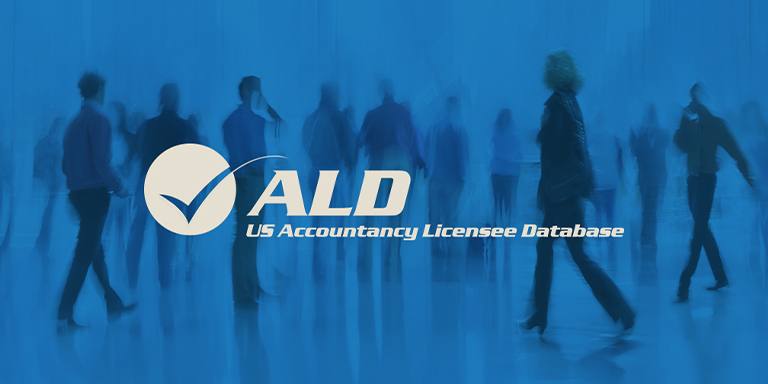 State Boards can now request the ALD (Accountancy Licensee Database) Non-Licensed Resident Report for their jurisdiction, which allows them to discover CPAs and firms with home or business addresses in their state that are not registered with them. The report has been distributed to Boards of Accountancy in Alabama, Georgia, Kansas, Louisiana, Mississippi, Nevada, North Carolina, South Carolina and West Virginia. NASBA is continuing to develop new ways for the ALD to better serve the Boards of Accountancy. Most recently, Nevada became the first state to submit, via the ALD, data that is published on the home state record for licensees who have received disciplinary action from Nevada under mobility provisions. ALD now also has the ability to filter how discipline records are displayed in ALD and CPAverify. Using the state’s specific criteria, filters are created to prevent discipline markers from displaying on the public CPAverify, but remain displayed in ALD for the Boards. This has been done for both Connecticut and Washington. NASBA is also in the final stages of an ALD/CPAverify implementation with the Utah Board of Accountancy. Once complete, Utah will become the 53rd jurisdiction to participate in the ALD and CPAverify.